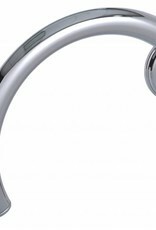 Grabcessories 2-in-1 Tub & Shower Grab Ring prevents falls in two key “fall risk” zones of the bathroom. 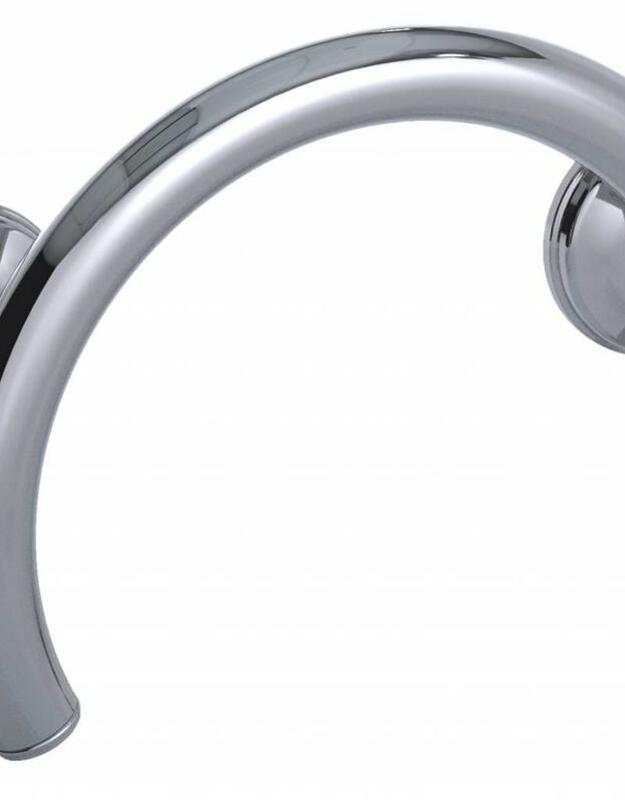 This beautiful curved Grab Ring is disguised to seemlessly integrate into your bath decor, mounting around the Hot/Cold Shower Valve Plate to hold onto while standing under the shower or around the Tub Spout to assist all ages when rising from and declining to seated position in the tub. 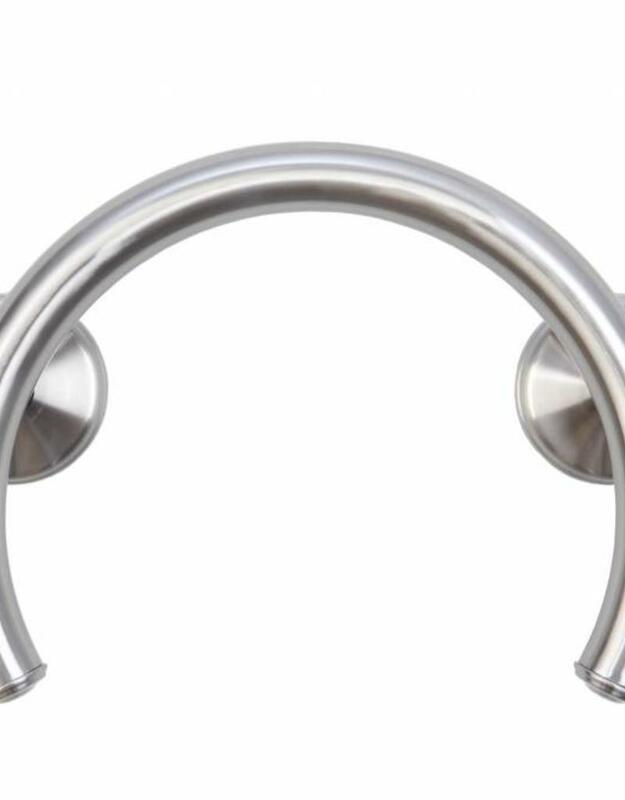 The Grab ring is constructed from non-corrosive stainless steel, includes no-slip rubber grips, supports up to 500 lbs, and offers a sleek curved design to blend in with your existing fixtures. 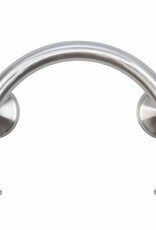 All LiveSafe Hollow Wall Anchors (2) and Stud Mount Hardware are included so you can locate Grabcessories anywhere you like on your wall. FINALLY, beauty, safety and independent living combined!